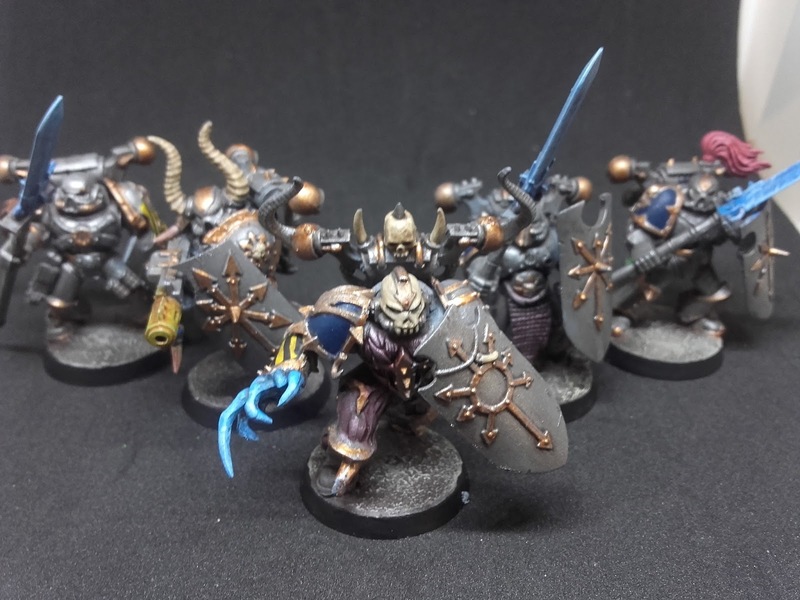 Sargeant Caedes is back with his roving Kill Team with another few layers of paint. I am fed to my back teeth of painting trim at this stage though, Chaos Marines have so much! Still we shall not dwell on that and instead shall move forward with attempts at Iron Warriors chevrons and power weapons. 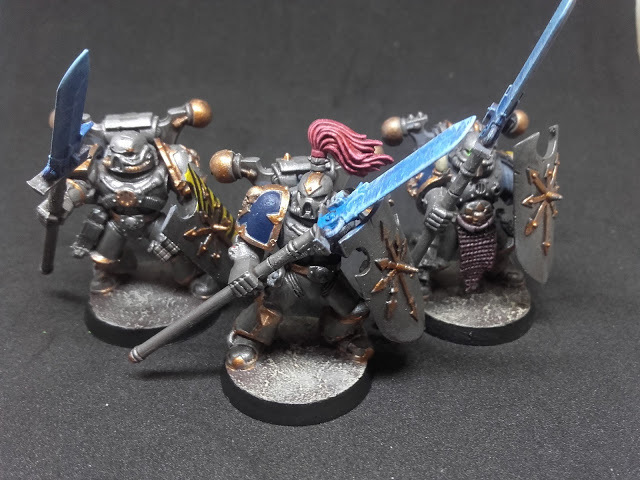 Iron Warriors: Kill Team Caedes. First up are the power weapons of the squad, which despite the looks have a lot of effort put into them. I started with bright blue, as seen in the previous post. I then added darker blue across the edges and then I started mixing things. It is rare and new for me to try this but I think it worked. I had the lighter blue and white on my palette and I started to work them together, just a drop of white in and a dry brush over it all, then a lot more white, much lighter dry-brush. Then the last of the white and just along the edges, as much as my meagre brush control allows at the moment. 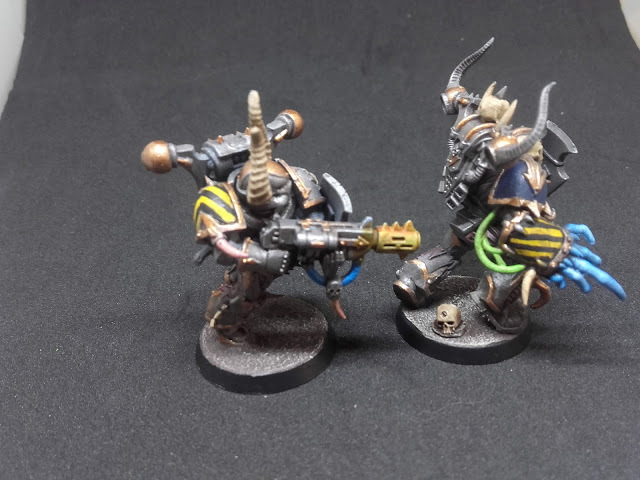 Iron Warriors: Kill Team Caedes, power glaives. 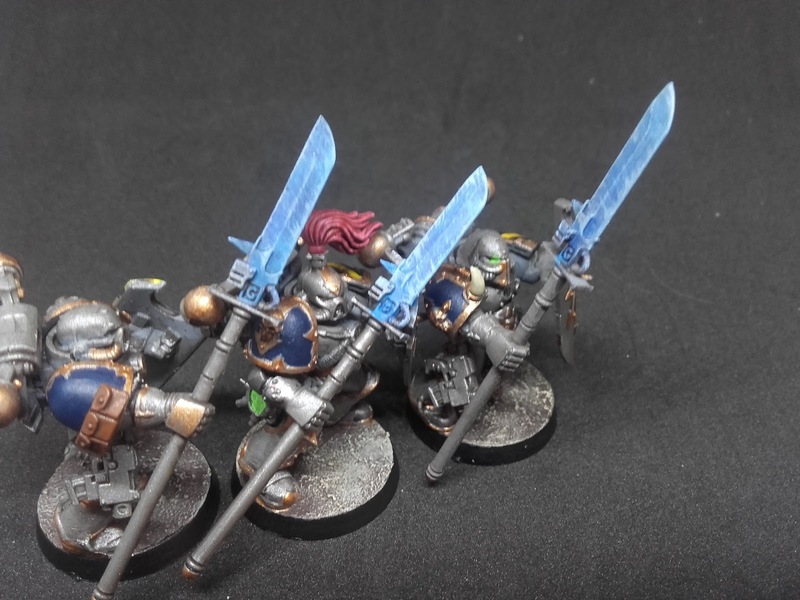 Iron Warriors: Kill Team Caedes, detail of the weapons. Next I tried to play with some chevrons/hazard stripes. 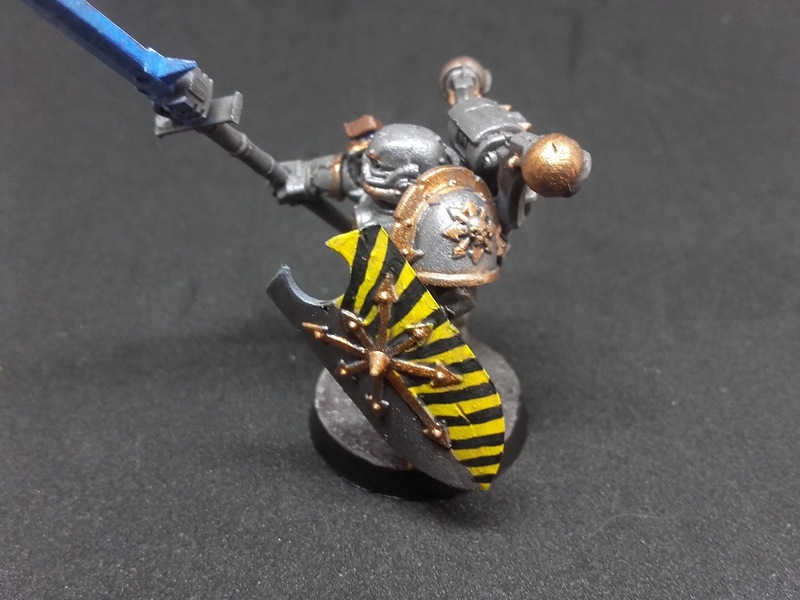 I base coated over the metal with a bone colour and then proceeded to add two thin coats of yellow after they dried. Then the step I couldn’t reverse easily I tried the black stripes. It was … tricky. To greater and lesser success it worked across the range of models. Each got at least one marking to start with. Any advice is of course welcome. Thanks to Insane Pyschopath and all the comments on the last post from commentators old and new. 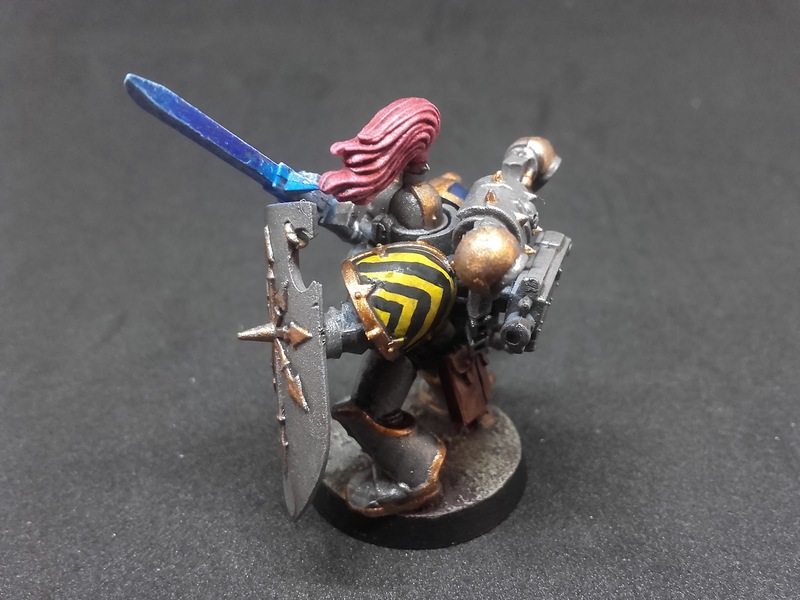 Iron Warriors: Kill Team Caedes, hazard stripes attempt 1.